Bloxiq takes the classic concept of color matching and turns it on its head. You’ll need all of your wits as you try to solve 100 levels that will completely change your perspective on puzzle games. Easy to learn, fun to play and sometimes mind-bendingly difficult, bloxiq’s innovative mechanics make it the perfect game for people who love puzzle games that challenge your brain rather than your luck. Claws of Furry creates a blend of today’s fast paced action with classic arcade Beat’em up badassery. With four distinct environments with unique enemies, the challenge is always evolving. Multiple modes such as Rogue-like and Arena, and unlockable outfits with unique bonuses, will keep you coming back for more. Fear not the rogue-like though; with the Pussycat mode you can play the game with checkpoints in every level, in a classic linear adventure. The planet Avalice has long known a tenuous peace thanks to the Kingdom Stone: an orb of unknown origin that outputs enough free energy to power every device in the world, seemingly without limit. The Kingdom Stone is beginning to weaken, however, and the planet’s three ruling houses are poised to engage in all-out war over control of this most precious resource. Add to that a coup d’etat within one of these houses – instigated by an invading alien army – and Avalice’s future is looking grim. God Wars: The Complete Legend is a tactical RPG that explores the untold history of Japan through folklore and tactical combat. Discover the secret pasts and ultimate destinies of Kaguya and her friends inside the Labyrinth of Yomi. The remnants of human civilization are threatened by gigantic creatures breeding beneath the earth. You must control powerful mechs from the future to defeat an alien threat. Each attempt to save the world presents a new randomly generated challenge in this turn-based strategy game from the makers of the FTL game. Moonfall Ultimate is a 2D side-scrolling, action-RPG, set in an industrial gothic universe. Hack, slash and cast your way through a treacherous hand-painted world in solo, couch co-op or endless arcade mode. Choose your class and upgrade your gear with Metroidvania-style exploration and a focus on strategic real-time combat. Ninjin: Clash of Carrots is an anime-inspired beat-’em-up with a gaggle of varied enemies, deep customization…and ninjas! Play through side-scrolling worlds consisting of multiple stages and collect carrots stolen by the evil Shogun Moe! Carrots act as currency which can be redeemed in the Corgi Store for new equipment, or the Shady Shop for special weapons, masks and other customization items. Grab a friend to join you in 2-player online or local co-op. 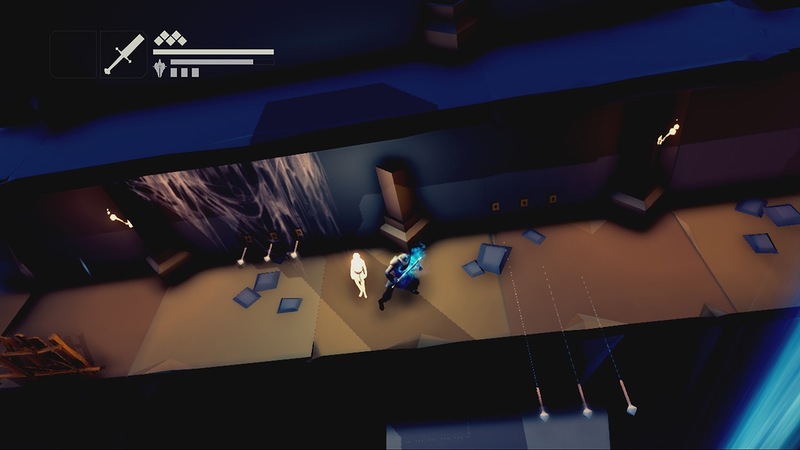 Phantaruk combines survival horror with adventure and stealth mechanics. For long has humanity been constrained by limits of the human body. Most have accepted the imperfection of flesh, but some sought for liberation. To pursue the dream of creating a post­human being – to achieve ideas of transhumanism – is the driving force behind H+ Corporation. Son of a Witch is an action roguelike for 1-4 players with cute graphics, easy to pick up controls and deep game mechanics. Combine dozens of different weapons, magic items, potions and spells to beat 7 enemy factions and 24 bosses. Can you find the ancient artifact at the end of the dungeon? As a demon army besieges his village, a young ninja ventures through a cursed world to deliver a scroll paramount to his clan’s survival. What begins as a classic action platformer soon unravels into an expansive time-traveling adventure full of thrills, surprises and humor. It’s the 1980’s. The Kid needed to earn some cash to take his girlfriend out. So by delivering pirate videotapes to his customers and staying one step in front of the cops, he quickly became… The VideoKid. Running the gauntlet of his bogusly dangerous delivery route, The VideoKid must survive against all the odds to reach his beloved Jessica. Is today the day he’ll finally reach her in time? Play as Lee Everett, a convicted criminal, who has been given a second chance at life in a world devastated by the undead. With corpses returning to life and survivors stopping at nothing to maintain their own safety, protecting an orphaned girl named Clementine may offer him redemption.